People travel from around the world to gain the wisdom of Sedona, Arizona spiritual guide Ilchi Lee. 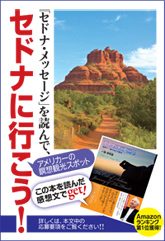 You can learn his secrets and techniques without the trip to Sedona in his new book: The Call of Sedona. Ilchi is a friend, and I highly recommend his book, which explores a path to fulfillment and joy in a world that can often be hectic and stressful.